Discchord has an insightful video that pits the KORG volca bass – that beautiful, affordable wonder – against a 303 bass (in this case, a Cyclone clone). It’s in my view a completely fair comparison, just because the Roland TB-303 has become such a template for basslines, particularly in acid music. That same volca bass filter, though, with its unruly and unique sound, is also what means you might want the volca. We’ve heard lots of the 303 filter sound; this is something special on its own. Those 303 clones are also a good buy. Spending $3k on a used 303 which might fail on you is not a brilliant investment of money on an instrument that earned its popularity originally by being cheap. The three-oscillator unison mode on the KORG is fantastic. And here, again – it’s not a 303 clone; it’s a volca. KORG’s KAOSS effects are simply awesome. The volca bass remains an incredible buy – once you understand how it’s different from other offerings. Hat tip to Nick and SonicState. 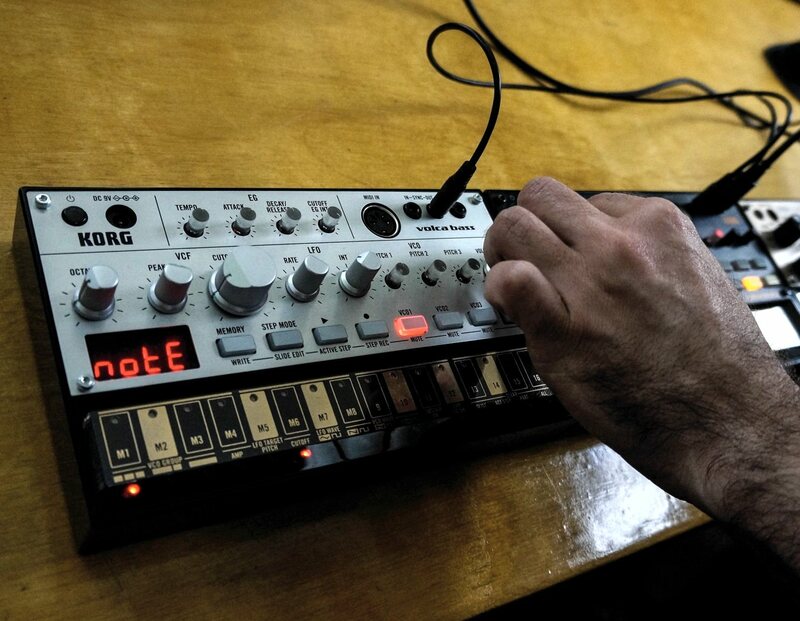 Hands-on with the volca bass. Singing Circuits: Who Needs Synths When a No-Input Mixer Sounds This Gorgeous?